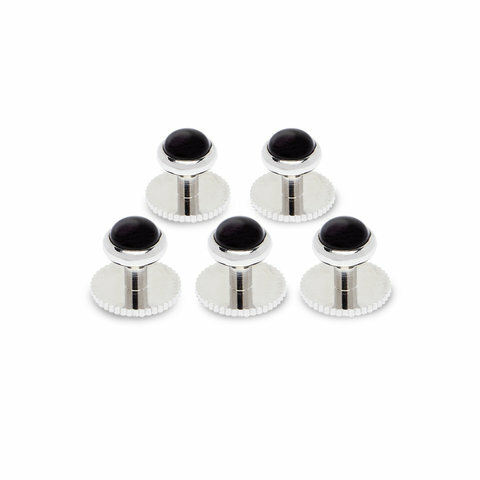 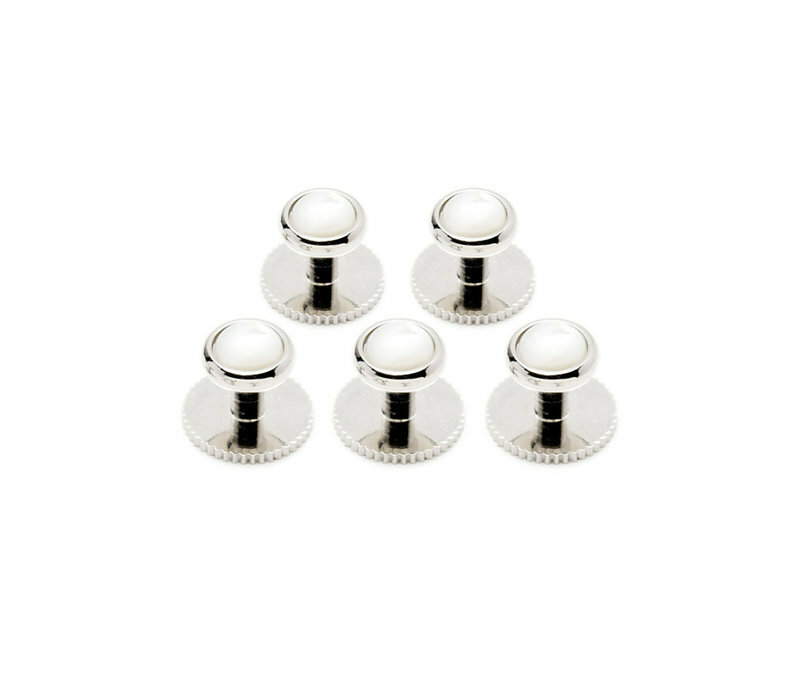 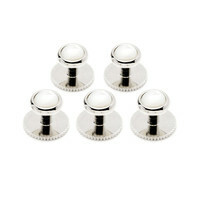 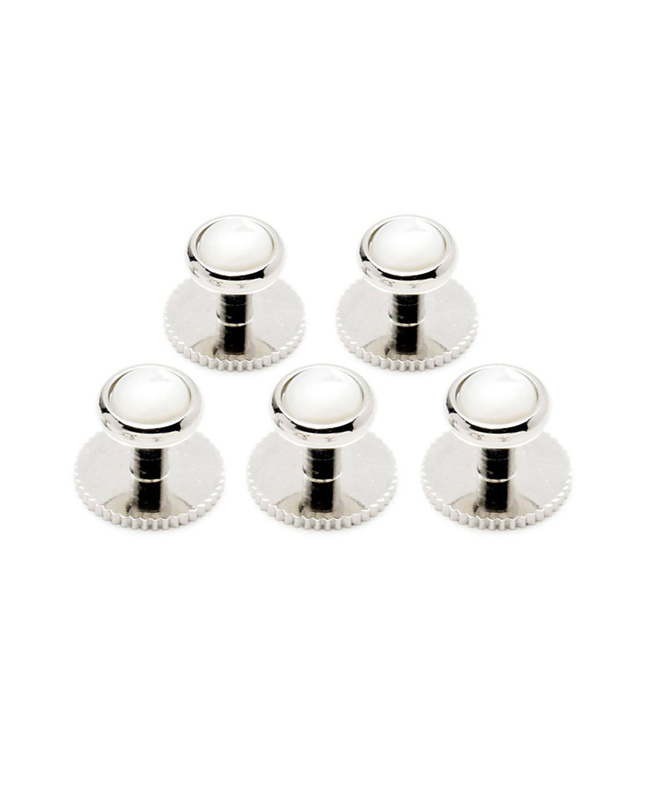 Used when shirts are too stiff to close with a conventional button, these dress studs finish a formal outfit on any traditional or modern shirt. 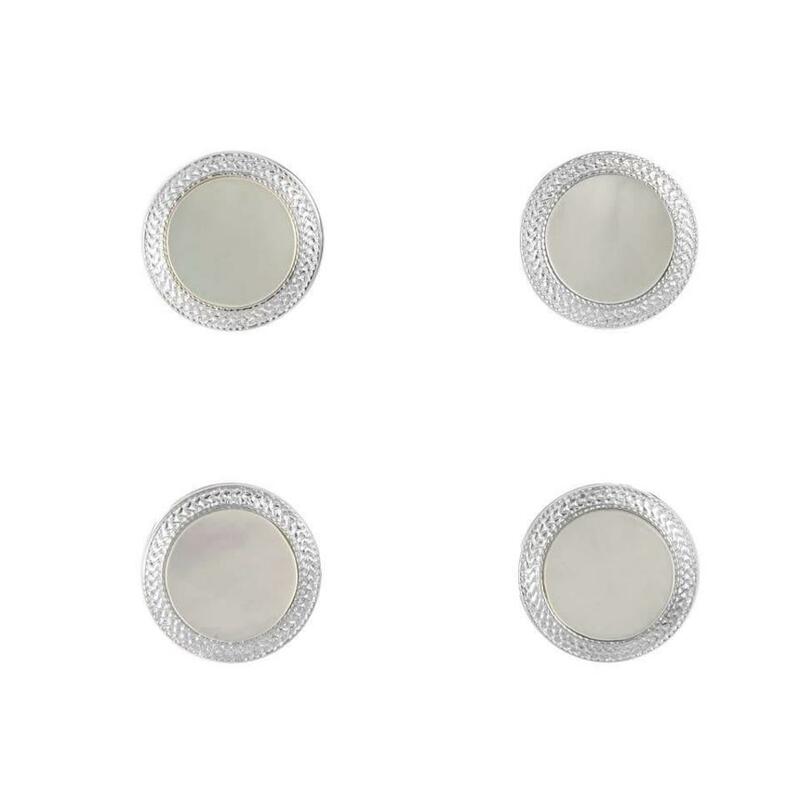 With three designs, set in either gold or silver plated settings, these elegant circular dress studs have a screw fitting so they can be worn with the stiffest of shirts or bibs. Set of five, beautifully presented in a box. 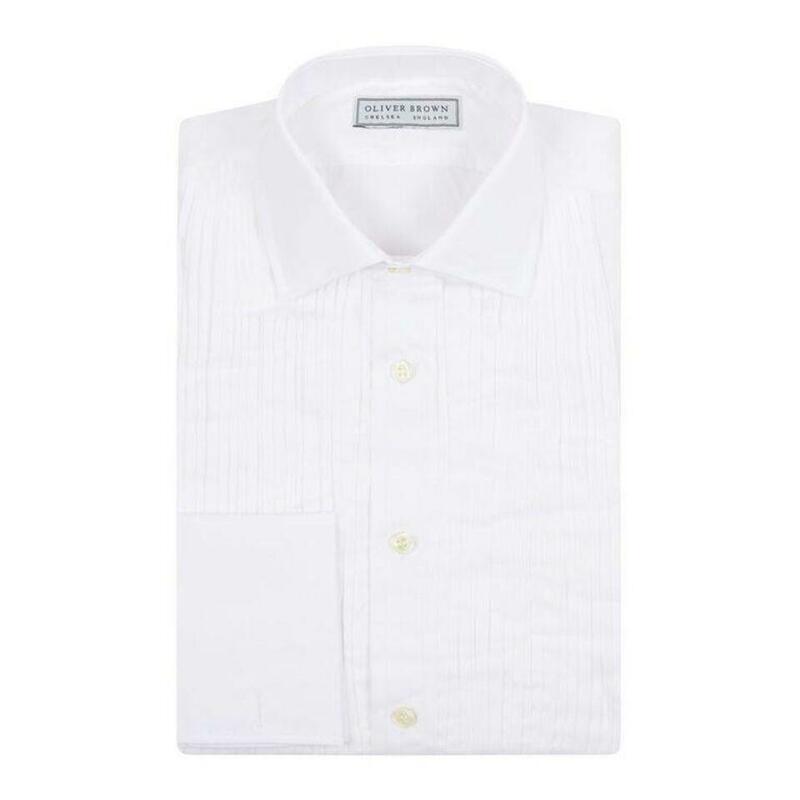 Wear together with; Dress Shirt.